When Elias Pettersson went down with an injury in Montreal, Canucks Nation held its breath. That’s exactly how you’d expect fans to react when their 20-year-old super rookie gets injured, particularly if it’s a serious one. While Pettersson writhed in pain on the ice at the Bell Centre, he was able to skate off under his own power. There were signs that the injury wasn’t as bad as some feared, though we’ve been fooled before. Two nights later in Toronto, head coach Travis Green provided an update. It was good news. Pettersson will miss next game against the Arizona Coyotes, something that was made official when the Canucks placed Pettersson on injured reserve. Because the Canucks can backdate the injured reserve designation, Pettersson will be eligible to return before the following game on Sunday against the Florida Panthers. Of course, there’s no guarantee that he’ll be able to play that soon either. Luckily, the Canucks have time on their side. They’ve just begun their lightest stretch of games in the season, as they’re scheduled to play just six times before February 2. All six games will be played at Rogers Arena, and just one (January 18 vs Buffalo) is against a team currently above the playoff bar. 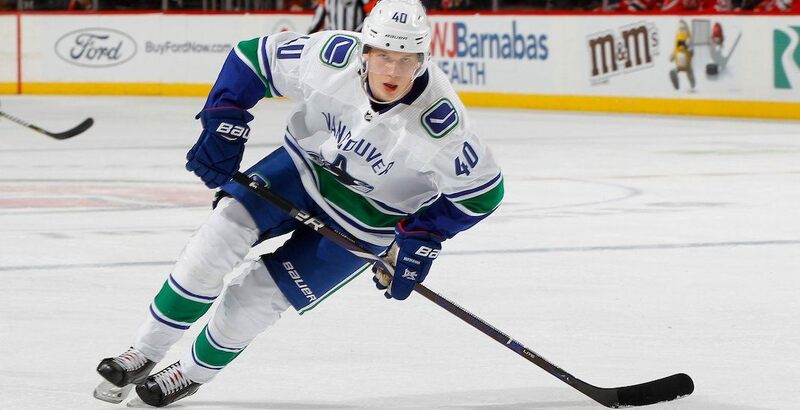 With Pettersson out of the lineup, it presents an opportunity for Adam Gaudette, who has been recalled by the Canucks. Pettersson leaves a gaping hole in the top-six, one that bottom-six centres Brandon Sutter and Jay Beagle are ill-suited for. Markus Granlund has been used at centre at times this year, but he’s better suited for the wing, and probably more in a checking role. Enter Gaudette, who has seven points in seven AHL games this season, including two goals and an assist in the three games during his latest stint with the Utica Comets. He hasn’t been given the same offensive opportunities in the NHL to this point, scoring just six points (2-4-6) in 31 games, but perhaps that changes with Pettersson out of the lineup.